He is the Interiors Director at Wallpaper* magazine, a leading international design title celebrating exciting developments in the world’s of interiors, design, architecture, fashion and travel. 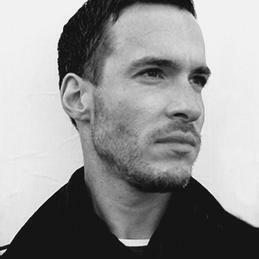 Following a degree in set design at Wimbledon School of Art, he spent six years at the World of Interiors as editorial stylist. His role at Wallpaper* involves the research and production of large-scale shoots, and events as well as collaborating with freelance stylists. He’s traveled from China to Brazil and to India over the last three years, designing temporary Wallpaper* offices from which the team produced its very special ‘Made In’ issues. This summer the offices will transfer to Moscow and St Petersburg, to work on the next venture. He enjoys discovering and showcasing emerging talent, introducing exciting new designers from all corners of the globe to the pages of Wallpaper*.